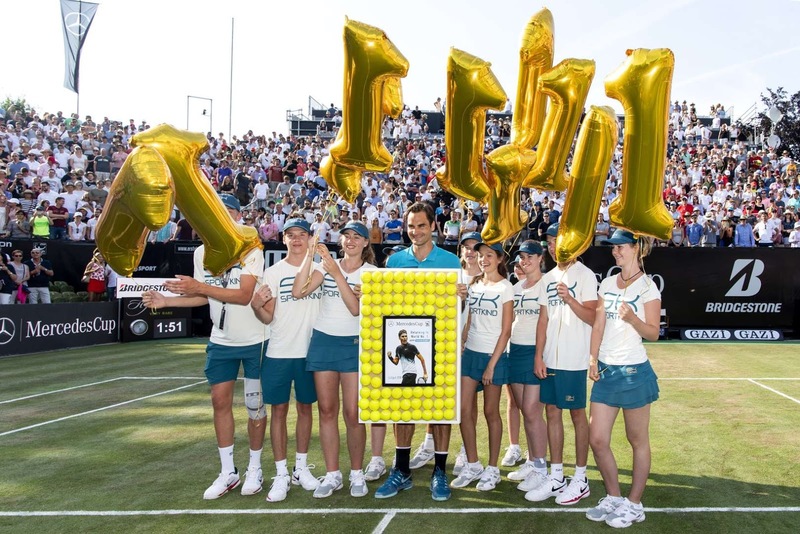 Roger Federer and the ball kids with a presentation for regaining the world number one title after his semi-finals match win against Nick Kyrgios at Mercedes Cup on Saturday in Stuttgart, Germany. Federer won 6-7 (2-7) 6-2 7-6 (7-5). 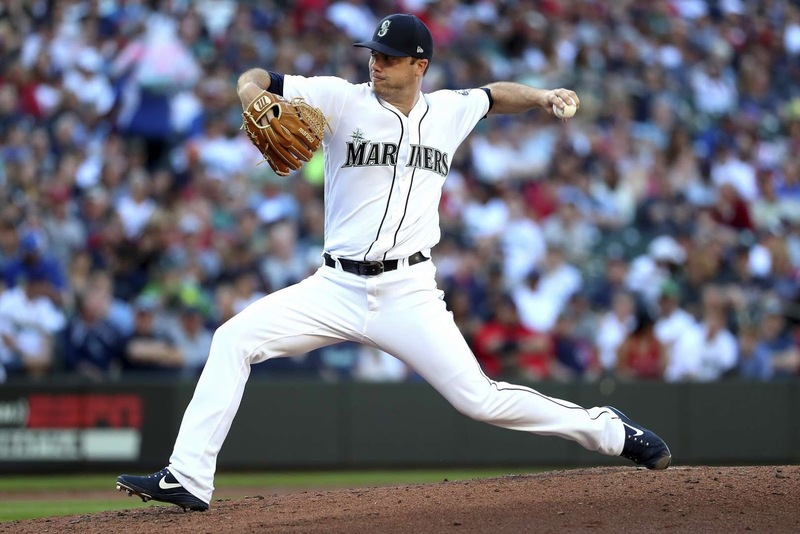 Wade LeBlanc of the Mariners pitches against the Red Sox in the third inning during their on Saturday in Seattle, Washington. Mariners won 1-0. 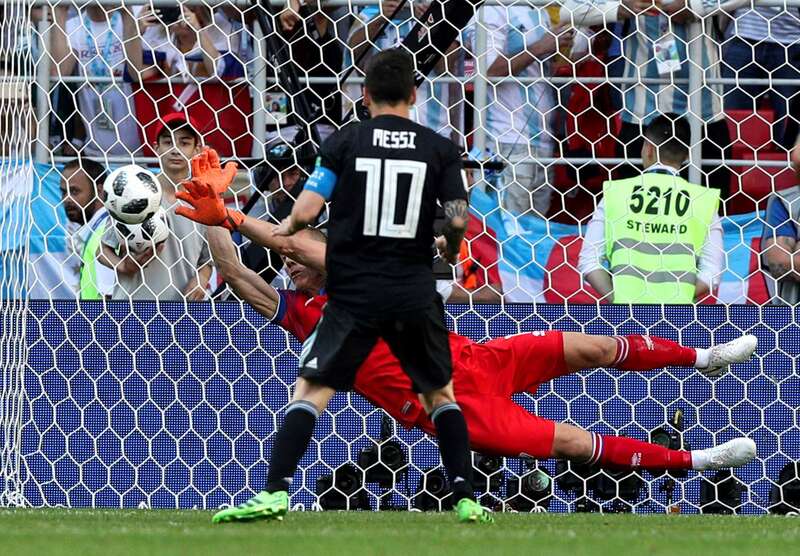 Iceland goalkeeper Hannes Halldorsson saves a penalty by Argentina's Lionel Messi during their group D match at the FIFA World Cup in Moscow, Russia, on Saturday. The game ended in a 1-1 tie. 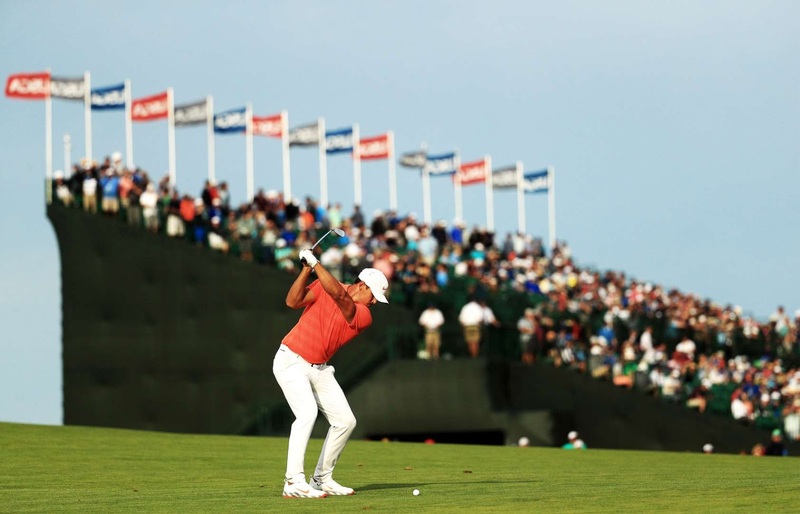 Brooks Koepka of the United States plays an approach shot on the 18th green during the third round of the US Open on Saturday, in Southampton, New York. 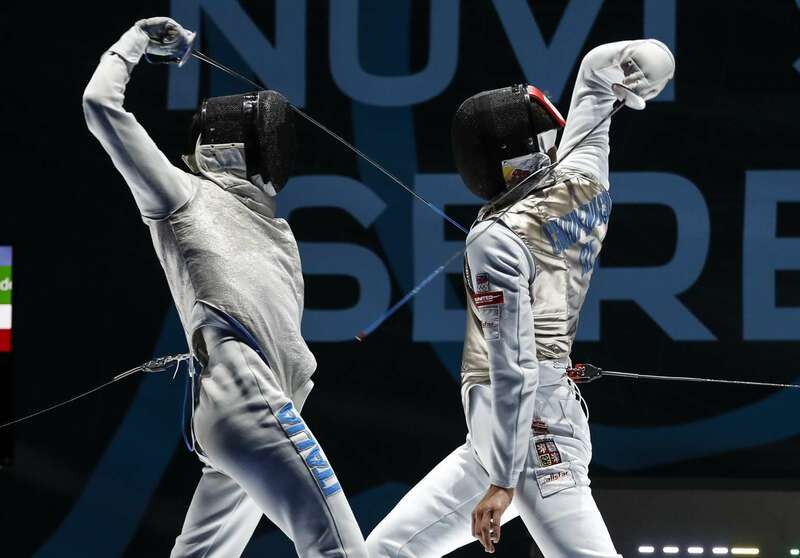 Daniele Garozzo, left, of Italy in action against Alexander Choupenitch, right, of Czech Republic during Senior Men's Foil competition on Saturday in Novi Sad, Serbia. 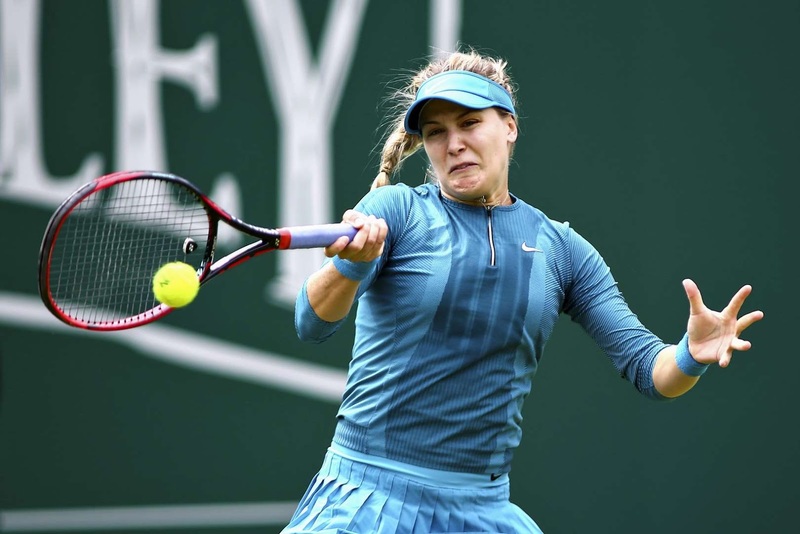 Eugenie Bouchard in action against Caroline Dolehide during the Nature Valley Classic on Saturday in Birmingham, United Kingdom. Bouchard won 7-5, 6-4. 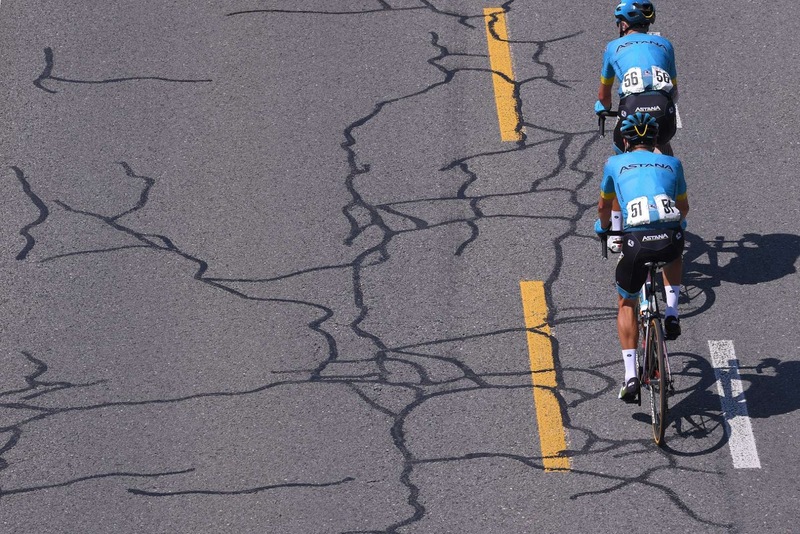 Jakob Fuglsang and Magnus Cort of Denmark during the 82nd Tour of Switzerland 2018 on Saturday in Bellinzona, Switzerland. 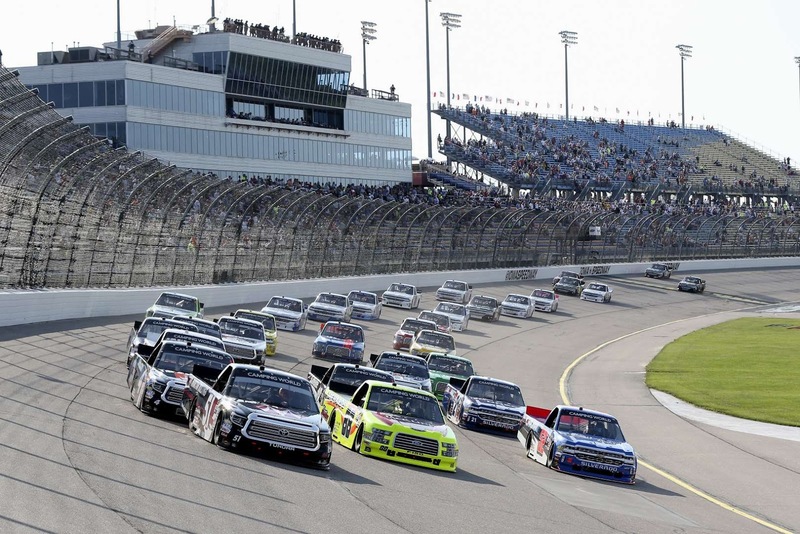 Harrison Burton, driver of the Morton Buildings, takes the green flag to start the NASCAR Camping World Truck Series M&M's 200 at Iowa Speedway on Saturday in Newton, Iowa. 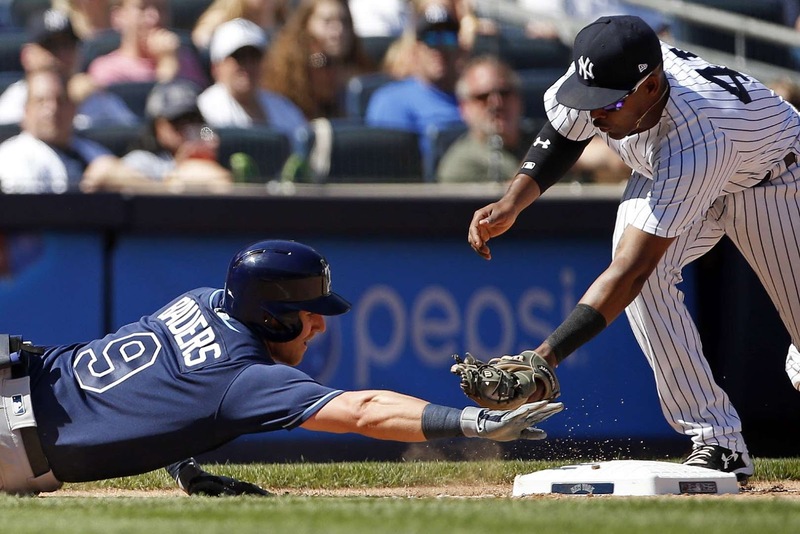 The Rays' Jake Bauers is called safe at third base with a triple ahead of a tag attempt by Yankees’ Miguel Andujar during a game on Saturday in New York. The Yankees won 4-1. Shohei Yabiku, left, competes against So Sakabe in the Men's Greco-Roman style 77kg final match of the All Japan Wrestling Invitational Championships on Saturday in Tokyo, Japan. 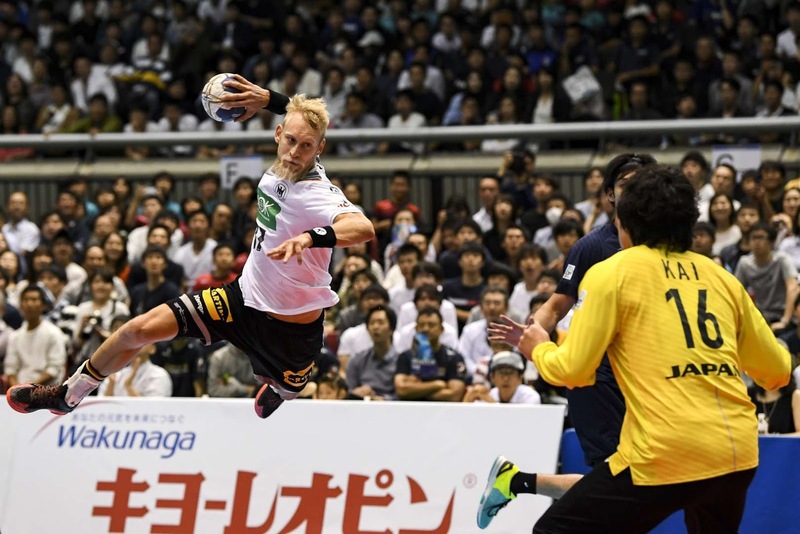 Matthias Musche of Germany jumps to shoot at goal during the handball international match against Japan on Saturday in Tokyo, Japan. 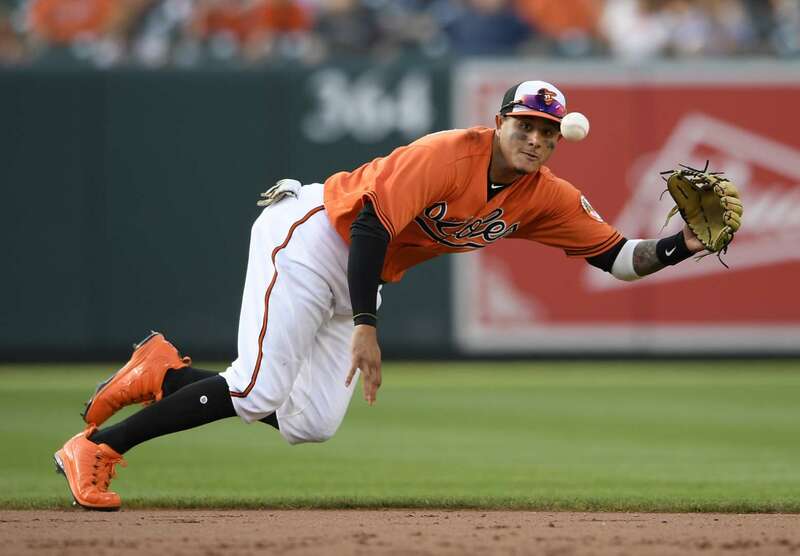 The Orioles’ Manny Machado fields a ball that went for a single by Marlins' JT Riddle (not in picture) during a game on Saturday in Baltimore. The Marlins won 5-4. 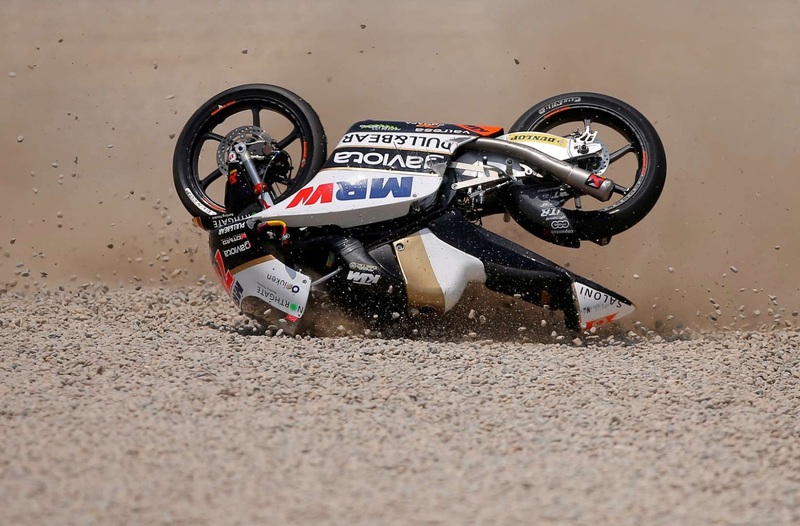 Angel Nieto Team Moto3's Albert Arenas falls during a MotoGP race during Grand Prix of Catalunya on Saturday in Barcelona, Spain. Croatia's Andrej Kramaric in action againt Nigeria's William Troost-Ekong during the FIFA world cup match on Saturday in Kaliningrad, Russia. Croatia won 2-0. 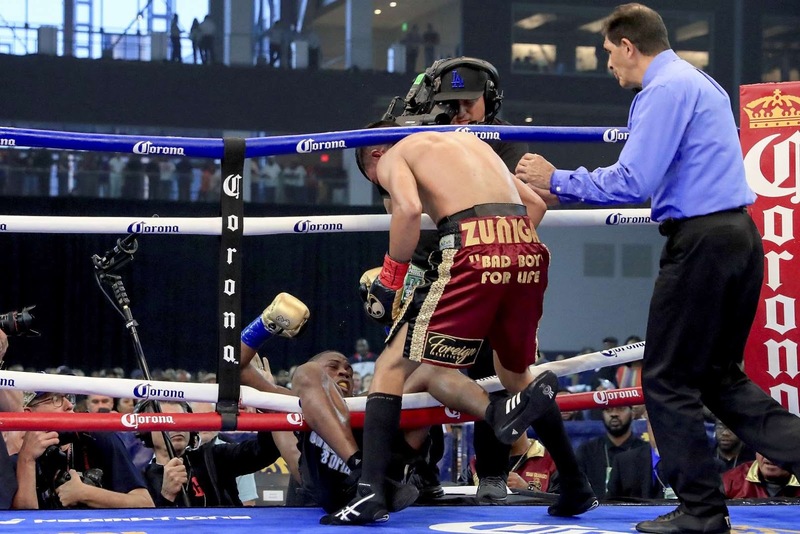 Referee Robert Chapa stops the bout after Javier Fortuna falls from the ring during the fourth round of a Jr. Welterweight bout against Adrian Granados on Saturday in Frisco, Texas. A Croatia fan ahead of the World Cup group D match between Croatia and Nigeria on Saturday in Kaliningrad, Russia. Sophia Popov reacts to a missed birdie putt on the 15th green of the Meijer LPGA Classic on Saturday in Grand Rapids, Michigan. 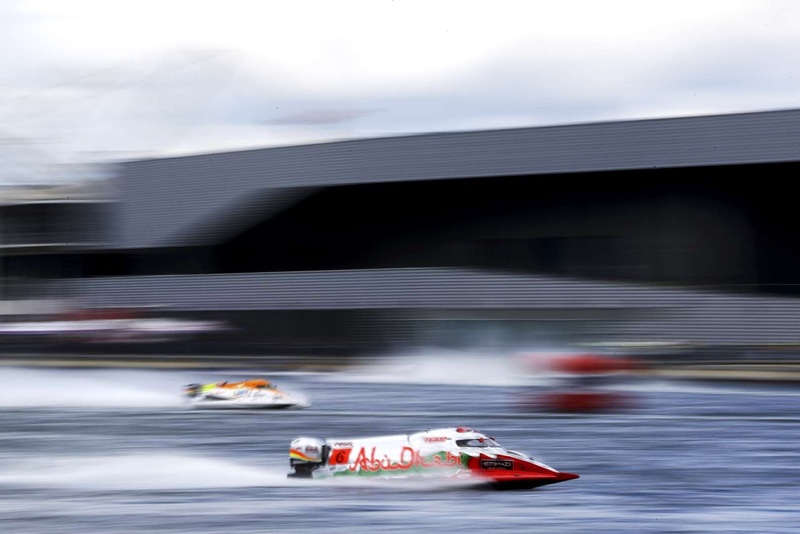 Shaun Torrente of the United States and Team Abu Dhabi in action during free practice ahead of the 2018 Championship, the F1H2O UIM Powerboat World Championship Grand Prix of London, on Saturday in London, England. 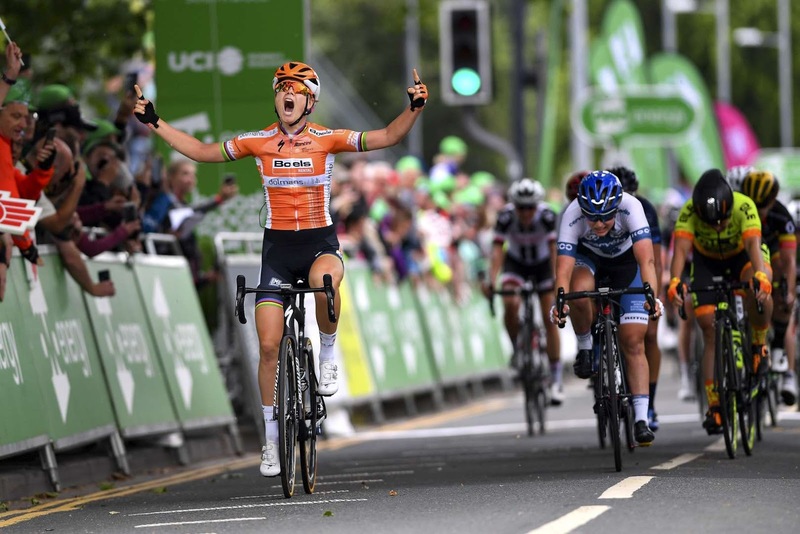 Boels Dolmans Cycling Team's Amalie Dideriksen celebrates winning stage four of the OVO Energy Women's Tour from Evesham to Worcester, on Saturday, in Worcester, England. 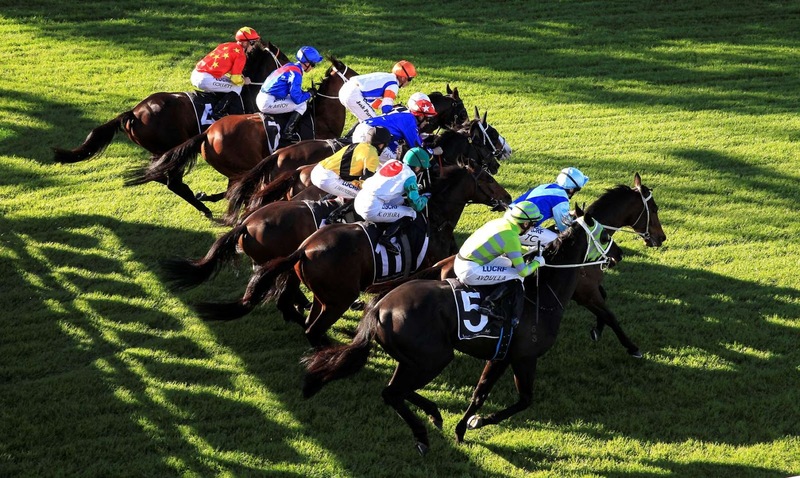 The Start of race 6 which was won by Brenton Avdulla on Black on Gold (green silks) during Sydney racing on Saturday in Sydney, Australia. Jeronimo de la Fuente (bottom right) from Argentina in action during the International Test Match against Wales on Saturday in Sante Fe, Argentina. 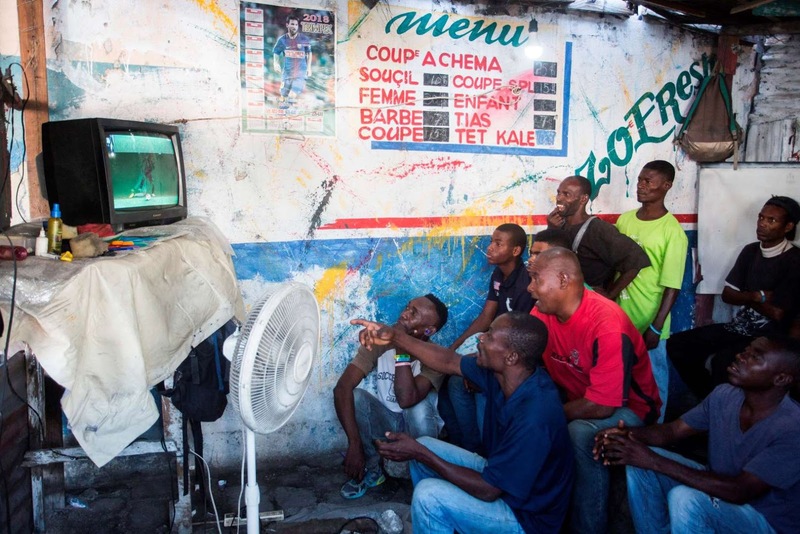 Haitians watch a 2018 FIFA World Cup match between Argentina and Iceland in a small hairdresser on the troittoir on Saturday in downtown Port-au-Prince, Haiti.